Own your performance and take responsibility for your actions. That was the mandate issued in Upholding the Standard in March 2012 and while the more things change, the more they stay the same. I measure individual powerlifting performances by the number of successful lifts, personal records (PR) achieved, and placing within a weight class and/or age group. I also grade novices or intermediates on technical improvements and becoming more acclimated to the competitive experience. Six successful attempts out of nine is a satisfactory, on-the-line performance. Fewer than six successful attempts are below the line while more than six usually represent a favorable outcome. Personal records should be reserved for your third attempt. Unfortunately, no matter how good you are, you’ll never make all of those. Like golfers who can replay every shot in their round, powerlifters will recall the chapter of each attempt within the greater story of their entire meet. And while, we all have a narrative to share about our performances, the final stats are usually pretty clear as to whether the ending was happy or regrettable. Frankly, we can all stand to become better competitors. After all, competing is a skill and none of us will ever be perfect. So, strive for perfection and settle for excellence. Much of my coaching nowadays is devoted to creating optimal training and competitive environments for my athletes. I’ve repeatedly outlined my approach to attempt selection and continue dedicating significant time to data collection of meet results to show correlations between successful attempts, personal records, and winning. While there is no sure-fire recipe to guarantee flawless performances, my game plans increase the probability of success and my lifters are mostly successful. Make no mistake about it — results in every arena are directly attributable to execution. While coaches make a huge impact on the outcome, the end result is ultimately left to the performers. Players make plays just like lifters make lifts and I’ll never take credit away from a lifter who achieves a PR. They deserve the credit. It’s my job to point them in the right direction with a wise plan of attack, instill confidence, and create the best possible scenario for them to succeed. But, in the end, it’s always up to the lifter to execute. They have to walk onto the platform alone and make the lift. I can’t do it for them. Execution boils down to skillfully performing the lifts according to the rules of performance. We all view powerlifting through a different lens. Fortunately, my 18 years in the sport has given me a variety of perspectives: coach, competitor, fan, and referee. Each perspective offers a varying view. But one song remains the same… rules are in place for a reason and should be adhered to at all times. Every game or sport has rules. Rules establish boundaries and ensure uniform high-quality competition. These standards of expectation allow us to compare performances. Without them, we might as well be comparing carburetors to swampland. The vast majority of the lifters I coach compete in USA Powerlifting. 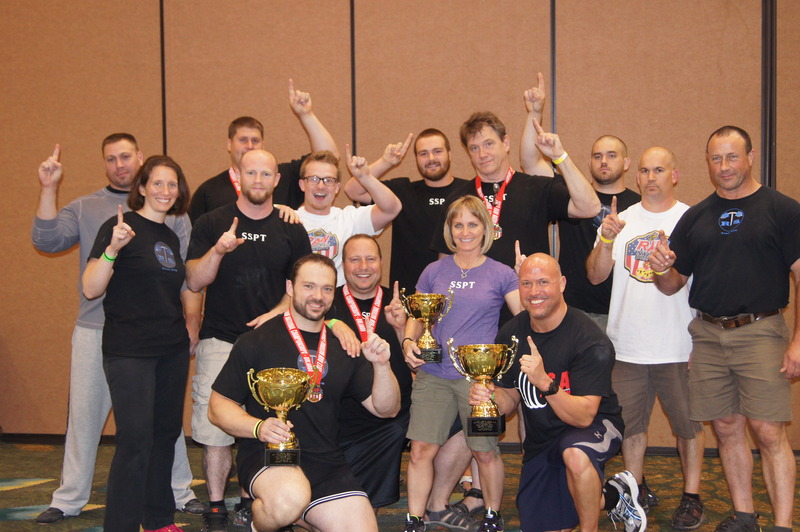 USA Powerlifting is the largest American powerlifting federation at nearly 4,500 members. The various USA Powerlifting National Championships are the gateway into the International Powerlifting Federation (IPF), which is the largest international group, at roughly 95 member federations, and offers the only true world championships. Lifters may also qualify to compete regionally in the North American Powerlifting Federation (NAPF), which is a division of the IPF. In my view, these federations offer the premier level of uniform high quality, drug tested competition. The bedrock of these organizations and the competitions they provide is a strict and rigid adherence to the rules. The rules include standards for apparel, weigh-in and start times, flight size, drug testing, and the all-important rules of performance. Officials range from meet director, to Technical Controller, doping officers, expediters, scoring persons, and obviously the referees, enforce the rules. Referees are human. They occasionally make mistakes but operate with high integrity and usually get it right. Squats must be sunk below parallel, benches are paused with feet flat and three points of contact to the bench, and deadlifts need to be completely locked out without any downward movement of the bar. These standards are a few of the key pieces highlighting the USA Powerlifting and IPF technical rulebooks. One thing is certain, when you review results from USA Powerlifting, IPF, or NAPF competitions, there’s a very high probability that the lifts were legitimate and executed according to the standards. A common theme amongst coaches and competitors of my ilk is credibility. We want our lifts to actually mean something. Abiding by the rules and the standards of the organization lends itself to personal integrity where lifts can be beyond reproach. When one of my lifters achieves a PR, I want it to be an accomplishment they can be proud of and one worthy of praise. Meanwhile it’s the lifters’ job to perform the lifts according to the rules. In other words, we must meet and uphold the standard. While powerlifting is strenuous and obviously maximal lifts don’t always look like ballet, they should still be clean enough to meet the performance criteria. Taking this a step further… American, national, and world records ought to be performed close to flawlessly. When in doubt, a referee is instructed to give a white light. But when records are on the line, there shouldn’t be any doubt. Lifters work too hard to have their records erased by a bogus lift. That reduces credibility within the organization and causes dissension amongst the rank and file. My multi-faceted view of the sport has been instrumental in formulating one of my mantras… “Take it out of the referees’ hands.” As lifters we all know the rules in advance and have a decision to make. We can choose to perform the lifts according to the standards or not. With choice comes control. Control breeds power. When a lifter decides to perform the lifts according to the rules, that power becomes emancipating. You no longer feel restrained by a judge who holds the keys to your fate. In essence, you unlock the shackles and create a higher probability of success. Taking it out of the referees’ hands allows you to have the final say. This means squats should be sunk well below parallel, benches should come to a complete stop and be held motionless at the chest, and deadlifts should be locked out convincingly. Don’t confuse my recommendations with the suggestion of squatting so low that your buttocks rest on your calves or ankles. Similarly, benches don’t need to be paused for five seconds nor deadlifts held for twenty. However, we owe it to ourselves to perform to the highest standard. Train the powerlifts often, acquire skill, achieve technical mastery, and then use your mastery to execute with precision thus showing the referees that your lifts are flawless. Don’t leave your lifts to chance. They’re too valuable for that. By allowing the judges to determine your fate, you’re putting yourself at risk and relinquishing your leverage. When I take the platform, I choose to perform the lifts as perfectly as possible. I’m making the decision easy for the referees. They have no choice but to give a white light for my lifts. If I miss a lift, it’s because I flat-out missed it due to a lack of strength. I can live with not being strong enough on that day. That’s fixable. I can head back into the lab, decipher what needs improvement and work harder. But I refuse to live with failing to comply with the rules. That’s unacceptable and I won’t let it happen.